What could be better than spending your time doing something you like or addressing office tasks that you have been postponing? 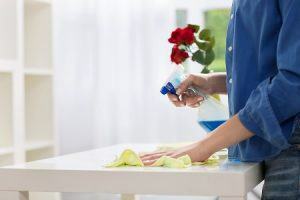 This isn’t really that difficult, once you find that Top London Domestic Cleaners is a company that offers quality domestic cleaning in Docklands. We specialise in regular and one off cleaning visits that you can now take full advantage of. There is no cleaning challenge that we will ever have difficulty with, so don’t hesitate on whether to contact us. At Top London Domestic Cleaners, we know that cleaning your home on a daily basis is nearly impossible. You are very busy at work and the last thing you want to do upon coming home in Docklands is to clean. Don’t worry about this, because our company can easily provide a domestic cleaner that will take care of this task. You can book a single visit, or regular visits if you decide that your home is need of more attention. We will gladly take on any job since cleaning is what we do and we do it well. The only requirement is that you contact us on 020 3322 8143 and share the details of the job. We will then proceed to make a plan and strategy that best work for you and your property. So why should you use our professional domestic cleaners in Docklands? Top London Domestic Cleaners is not a company like many others you will see in Docklands and London in general. We specialise in tailor-made solutions that best fit your requirements. Our approach is strictly client-oriented, as we take the time to assess your cleaning needs and deliver what you best require. That way you can be certain our domestic cleaning in Docklands will be right for you, whether you have a big or small home. We possess the knowledge and gear needed to address any cleaning service properly and without any trouble. When you contact us on 020 3322 8143, you will quickly find out that you have made the right decision. One of the areas in the east/southeast part of the London capital is London Docklands. The Docklands are part of several London boroughs: Tower Hamlets, Greenwich, Newham, Lewisham, and Southwark. Originally, they were part of the Port of London, which at one time was the busiest port in the world. Nowadays, they have been redeveloped for commercial and residential use. The area is undergoing further development schemes, in addition to what has already been done. Extension of the railway is one of the major aspects, which is going to remove a longstanding issue of poor transport connections. Get in touch with our experts to get a free quote for the best domestic cleaning in Docklands – call us on 020 3322 8143.